Castro Shaves Beard. Gets Lucky and Unpacks Lozano. 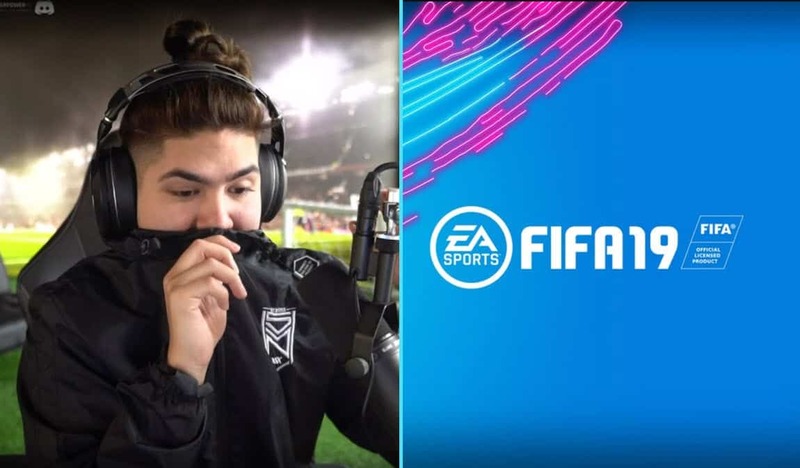 The most popular FIFA 19 streamer Castro, is known for his unusual mustache. His mustache is his trademark. One could spot the mustache a mile away. However, Castro decided to get rid of his beard, and that brought him enough luck to unpack Lozano future star card. All men who once had a big beard and then shaved it know how tough it gets afterwards. It’s like seeing a longtime friend move away. The strong connection between you two is indescribable. After shaving, you feel like your face suddenly turned into a babyface. Your rough face just becomes smooth and soft. Also, your appearance somehow changes as well. You just look less serious, and more like a child. That exactly happened to Castro when he decided to shave his beard and mustache. At the beginning of the stream, he covered his beard with a jacket and tried to speak through it. Of course, he knew it is impossible to speak in that way towards the end of the stream. Therefore, Castro asked viewers to not laugh. He said it wasn’t even that bad, and that he didn’t need anyone to remind him. Nevertheless, when he removed the jacket from his face people immediately burst into laughter. It looks like no one wanted to make the situation easier for Castro. On the contrary, his followers started creating memes and jokes. One of his followers even made FIFA 19 card with his old image. On top of that, he named the card mustache1021 and wrote “end of era”. To make the whole thing even more amusing, the man who made the card wrote RIP in the place where card position should be written. Apparently, it was a reference to the difference between Castro’s iconic and his current look. Although Castro surely expected a bunch of jokes, he thought this was maybe too much. He clearly stated that he had a wonderful weekend and that he is not dealing with this. In his opinion, his followers are taking babyface joke to completely another level. Did shaving bring luck to Castro? Even though Castro had to face numerous jokes about his babyface, he also had reasons to celebrate. He was opening new FIFA 19 packs that give you the option to pick one of four cards you get. While he was looking at comments, one great card appeared on his screen. When Castro saw Lozano’s future star card, he started screaming. He couldn’t believe he got such a valuable card. Not only that Lozano has such a good rating, but it can even grow in the future because of the nature of future stars cards. Lozano surely helped Castro to forget about all jokes he had to receive.